Come see us at kid's day to learn about our great summer lesson program! Our customers deserve the best shopping experience, and we are now proudly working to share our in-stock inventory with you here on our website. The site features online checkout with credit card or PayPal and FREE shipping or store pickup! We carry a huge selection of guitars, drums, folk instruments, and band and orchestra instruments, as well as on-site private lessons, and two showrooms packed with instruments ready for you to try out. On-site repair services keep you and your instrument playing, plus we're the only music store in the Columbia, South Carolina area interested in your trade-in. Our relationship with local music instructors keeps us informed on how to best meet the needs of our students. We offer lessons for musicians of all ages and skill levels, taught in a welcoming and supportive environment by some of the most experienced instructors in the industry. 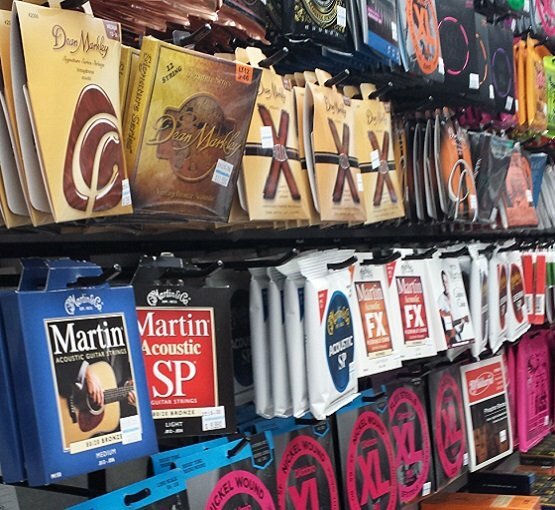 Whether you're looking for today's most popular sheet music, or you're just starting out with a new instrument, our friendly, knowledgeable staff is here to help you and your family members find the best equipment, gear, and accessories for your musical journey!